Why not generate your own electricity at home? No roof for solar PV? Don't own your home? Maybe those trifling details need not stop you! In the UK, as of 2009 the "G83" standard allows any householder to connect microgeneration to the grid. That's usually solar PV, sometimes wind. G83 allows up to about 4kW. That's a bit more on a bright sunny noon than a fast electric kettle uses. A DNO (Distribution Network Operator) runs the mains electricity supply wires to your home. A G83 connection can't be refused by your DNO. But that connection has to be made by a qualified electrician. And a new system usually has to be permanently wired in. Those two are expensive and annoying. And they don't work for a typical renter in place for a year or so. I'd like it to be easy for almost anyone to do their bit for grid and planet. It shouldn't be harder than buying a new kettle. They should be able to buy a cheap off-the-shelf nanogenerator gizmo. Then plug said gizmo into an ordinary mains socket at one end. 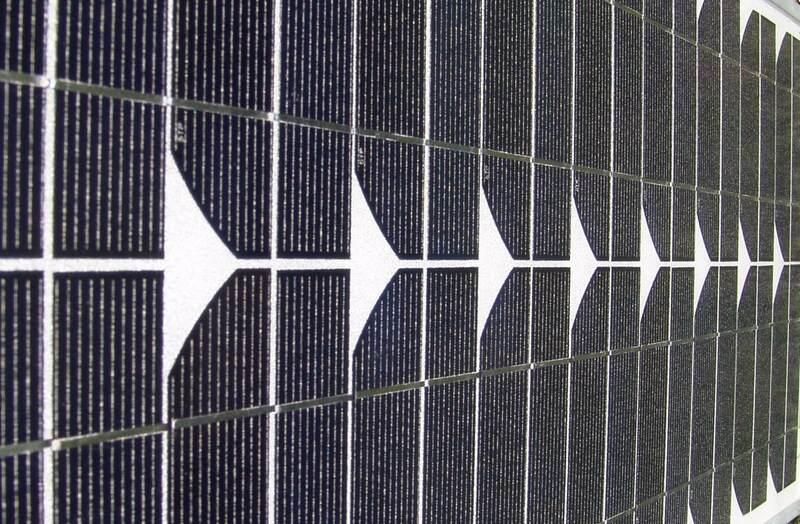 At the other, connect a solar PV generating curtain liner or solar shutters. Bingo! These should be cheap and safe and simple to use. They would make use of more urban land to generate renewable energy. It's har to generate enough renewable energy within dense city "load centres". They would take the edge off electricity bills. They could also help make homes more comfortable by passively shading and insulating. Much of the G83 specification is about safety. It is there to protect the owner, the grid, and anyone working on the grid. A pluggable device would need extra safety features. For example, quickly stopping generation when unplugged to avoid delivering a dangerous shock to the user. I suggest that for safety G83-Lite plug-in nanogenerators should be capped at 100W. This should not limit product design much. It may though avoid issues with bad contacts, long wire runs and old supply meters. 100W may be about the best available output from one square metre of consumer-grade solar PV material in good sunshine. Thus what a typical rented-bedroom curtain lining may be able to contribute. The G83-Lite rules might be that each device is limited to 100W peak as above. It would also make sense to limit the number of such devices used in one home. I'd suggest allowing no more than about ten behind one single-phase meter. More could be allowed with permission from the DNO. But at that point maybe a bigger non-lite system would be affordable anyway. Retail suppliers may have to allow G83-Lite devices on all their tariffs too, to make G83-Lite work. Maybe with "net metering", which is where the user gets paid retail prices for energy that they generate. It is often not the best policy, but it is simple. It's not clear if we can make such devices cheaply and simply enough to pay back financially and in terms of emboddied energy. Anyhow, I think that it should be made legal to try! This would be more green 'decentralised' energy. Almost anyone could become a small producer, not just be a consumer. Some existing devices may already more-or-less meet the technical and safety requirements. But they would need a G83-Lite regime to come in to be used this way in the UK. 2018/06/14: EU strikes deal on 32% renewable energy target and palm oil ban after all-night session: "The agreement between the European Parliament and EU governments establishes the right of European citizens, local authorities, small businesses and cooperatives to produce, consume, store and sell their own renewable energy, without being subject to punitive taxes or excessive red tape..."
2017/05/09: SolarGaps blinds generate solar electricity while shading your windows. CAISO Study Backs Use of Renewables for Grid Reliability: “These test results demonstrated how smart inverter technology can leverage PV technology from simply generating as a variable energy resource to providing ancillary services, such as spinning reserves, load following, voltage support, ramping, frequency response and regulation, and power quality,” the ISO said. The UK's National Grid plc. The 40% House vision to deliver 60% carbon saving in the UK's residential energy use by 2050 (2005 report). See also the newer Home Truths report (Nov 2007) from the same group on how to deliver 80% cut in carbon emissions from UK homes by 2050. They suggest that homes will be net exporters of electricity and that there will be no base-load. First published 2009-03-28 , updated 2019-04-22 . Site copyright © 2007-2019 Damon Hart-Davis. Hosted by ExNet.